All applications to the MAEE Program should be submitted online through the Office of Graduate Students (OGS) applications portal here. a Personal Interview with a member of the Departmental Graduate Committee or the Chair of the Department. International students whose native language is not English must also submit their TOEFL scores. The minimum score required is 550 for the paper-based test, 213 for the computer-based test and 79 for the internet-based test. *There will be space on the online application to list recommenders and their contact information. The OGS will then contact recommenders directly to request their responses. Students who have not taken one or more of the aforementioned prerequisites may be admitted to the program on a conditional basis. These students are required to complete the prerequisites by passing relevant coursework during their first year in the program. 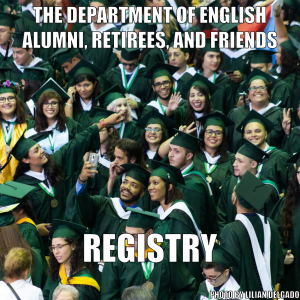 The Department of English currently offers assistantships for Graduate Students in the form of: Teaching Assistantships; Research Assistantships; and Tutoring Assistantships in the English Language Writing Center. If you would like to apply for a Graduate Assistantship, please make sure to mark the appropriate box on your Application for Admission. Once you have been accepted to the program, the Department Chair will contact you directly to discuss assistantship awards. The UPRM Office of Financial Aid can assist you in applying for loans and facilitate your applications for additional external scholarships and grants. Please contact the Office of Graduate Studies for more information on financing your education, finding off-campus housing, and navigating graduate school from application to graduation.